Commercial steam showers are often found in health clubs, hotels, and spas, and offer a relaxing, therapeutic escape. Commercial steam showers create some of the most demanding environments for superior waterproofing measures due to their extreme conditions: They generally cover more area, receive higher volumes of water, and are in virtually continuous use, compared to residential steam showers which are typically only used intermittently. These conditions mean commercial steam showers have less time to dry out between uses so the moisture management system must perform exceptionally well. When not designed properly, commercial steam showers can allow for mold growth in wall cavities, for wood framing to rot, and for damage to occur in moisture-sensitive wall coverings on the opposite side of stud cavities. 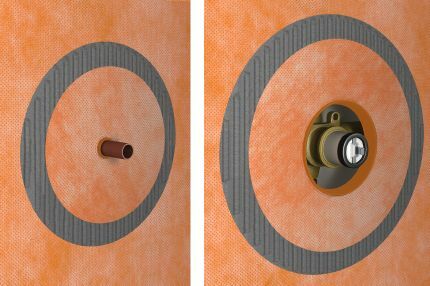 The KERDI-DS waterproofing membrane is specifically designed to manage both water and vapor in extreme conditions, making it the ideal solution for commercial steam showers. Check out the application below to learn more about KERDI-DS, and the other related KERDI components. 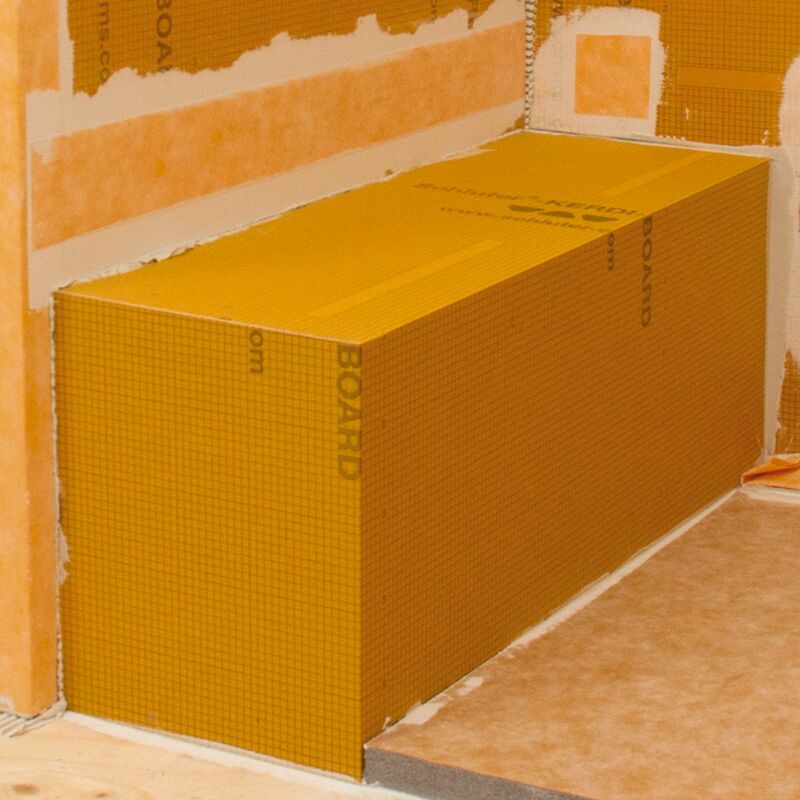 The KERDI-DS waterproofing membrane is intended for use in commercial steam showers and should be applied to walls, ceiling, and floor surfaces to prevent moisture penetration. KERDI-DS is 20-mil thick, over twice as thick as regular KERDI at 8-mil thick, and features additives to produce a water vapor permeance of 0.18 perms when tested according to ASTM E96, using procedure E at 90% relative humidity. 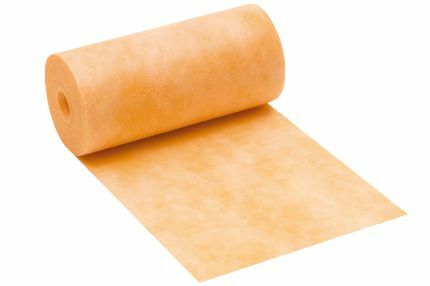 This makes KERDI-DS the ideal bonded waterproofing membrane and vapor retarder for continuous-use steam rooms and other extreme applications with similarly high vapor levels. 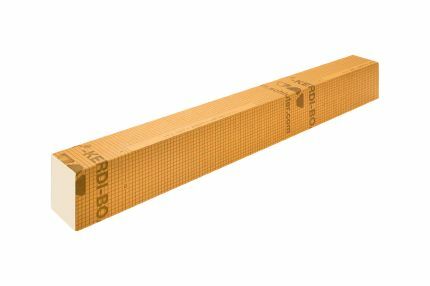 KERDI-BAND is a waterproofing strip used to seal all KERDI-DS seams, and floor-wall transitions. KERDI-BAND is only 4 one-thousands of an inch (4 mil) -thick, to limit buildup and ensure a smooth surface for tile installation. 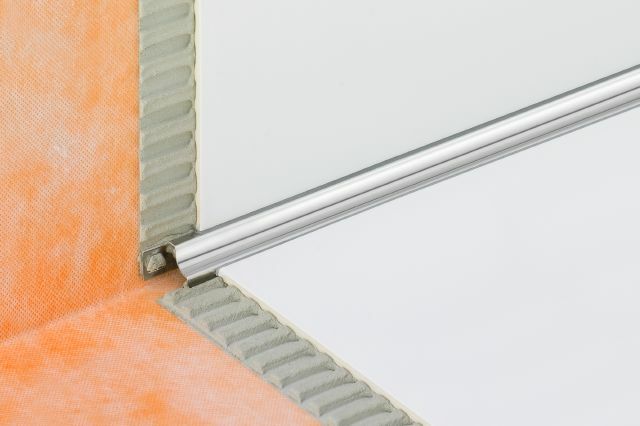 KERDI-DRAIN is a floor drain specifically designed to allow connections to KERDI and KERDI-DS bonded waterproofing membranes. 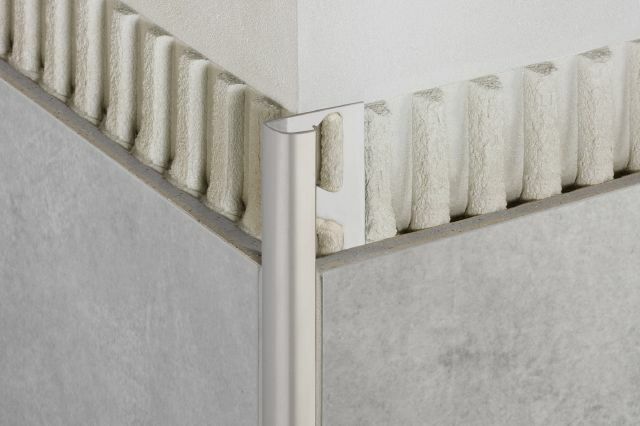 In this commercial steam room application, KERDI-DS is adhered to the large integrated bonding flange to form a waterproof connection at the top of the drain assembly. The standard KERDI-DRAIN is attached directly to the waste line. The drain casing is available in ABS, PVC, or stainless steel. Drain grates are available in stainless steel with a polished or oil-rubbed bronze finish and in anodized aluminum with a brushed copper bronze, brushed brass, or brushed nickel finish. The polished stainless steel grates are available in 4" (100 mm) -square, 6" (150 mm) -square and -round versions. 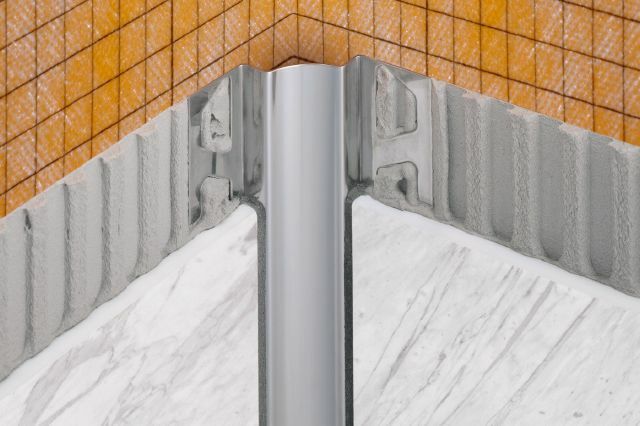 There is also a tileable grate option available, which features KERDI laminated on the surface to allow for bonding of ceramic or stone tile to create a virtually invisible drainage line. 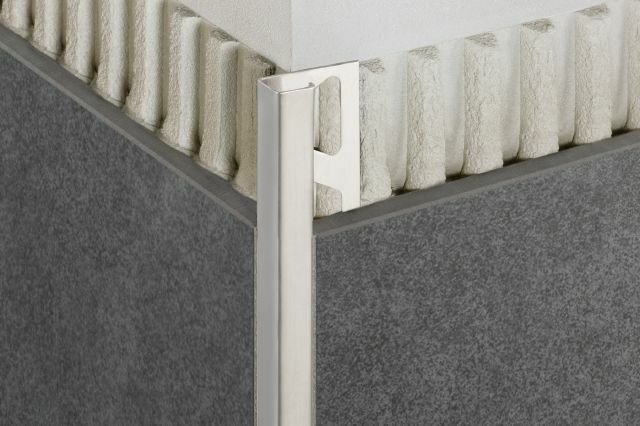 The elegant KERDI-LINE linear drain. 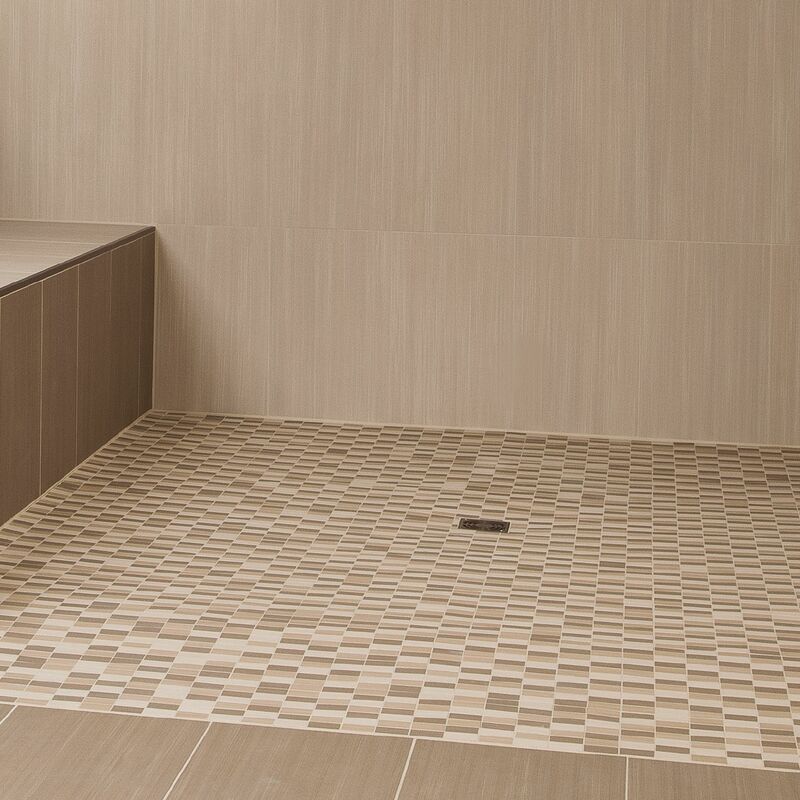 Incorporate a prefabricated bench into your commercial steam shower, or build your own customized bench out of KERDI-BOARD. 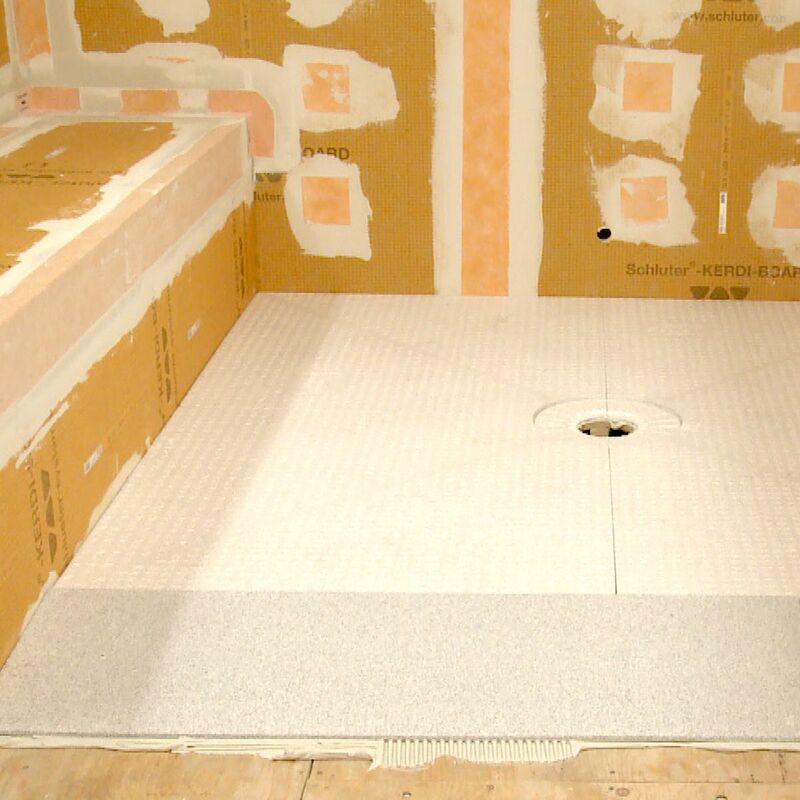 The KERDI-SHOWER-SR prefabricated shower ramp is specifically designed to facilitate the construction of access ramps for tiled showers. 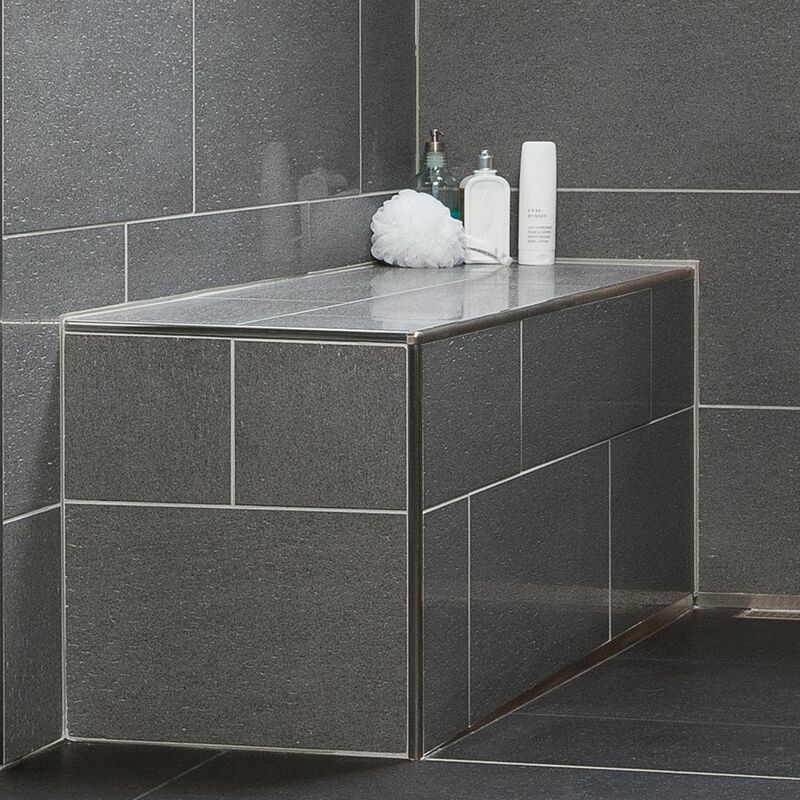 Similar to the shower tray, the shower ramp is lightweight and easy to install, and creates a gentle slope. 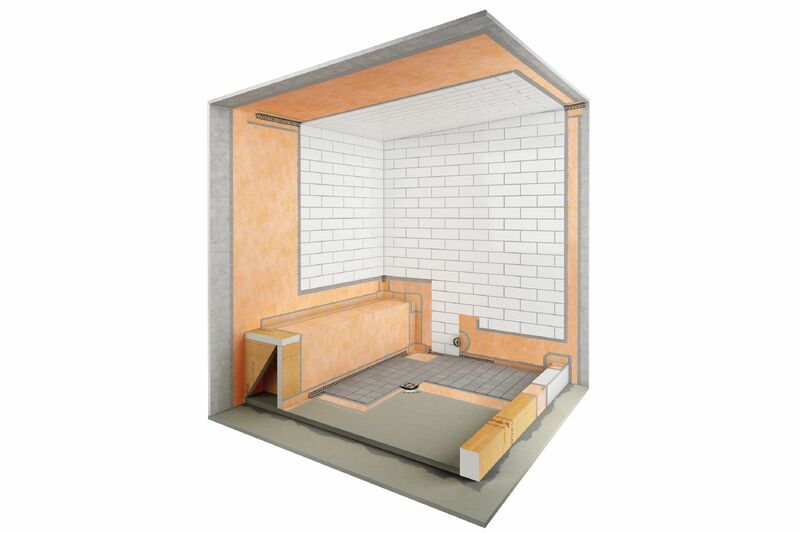 Schluter ®-Systems profiles are ideal for commercial steam showers and may be used to finish and protect outside corners and eliminate the use of sealant at inside corners.